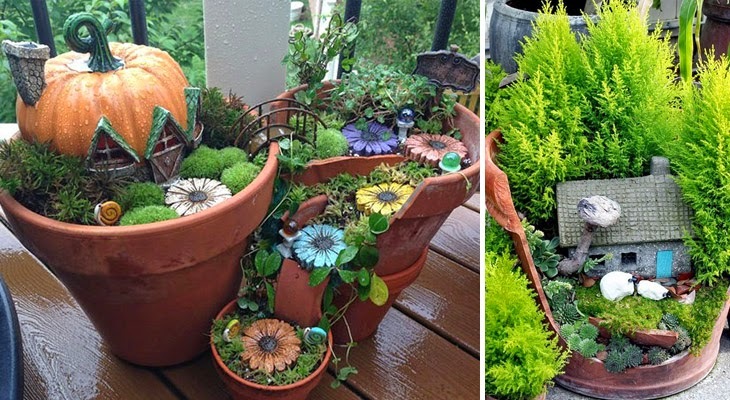 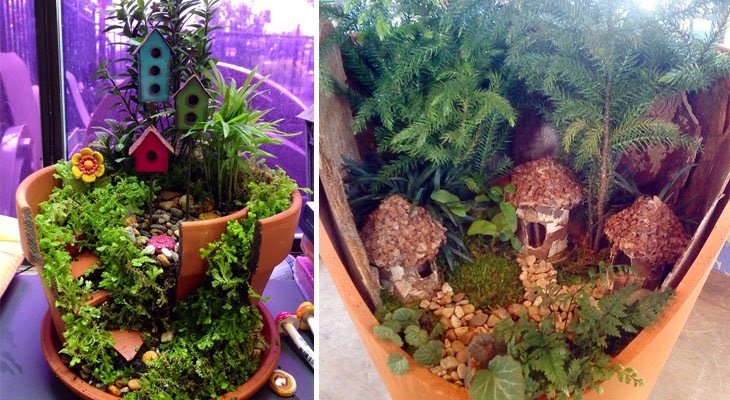 Look and be inspired by these absolutely gorgeous tiny gardens made from broken flower pots. 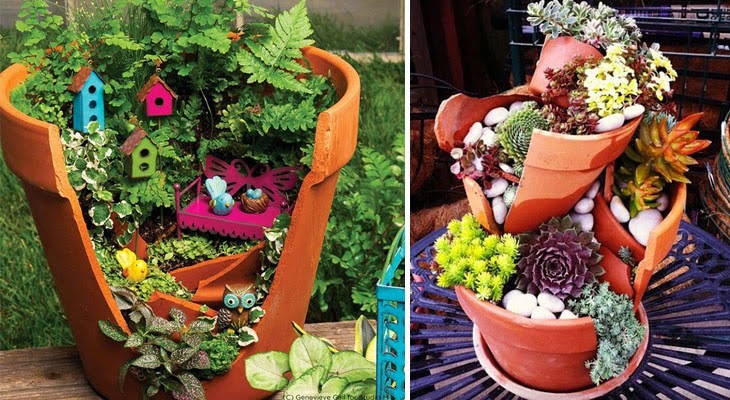 Instead of throwing broken flower pots, more and more flower gardeners are making use of it by arranging them and turning into mini gardens. 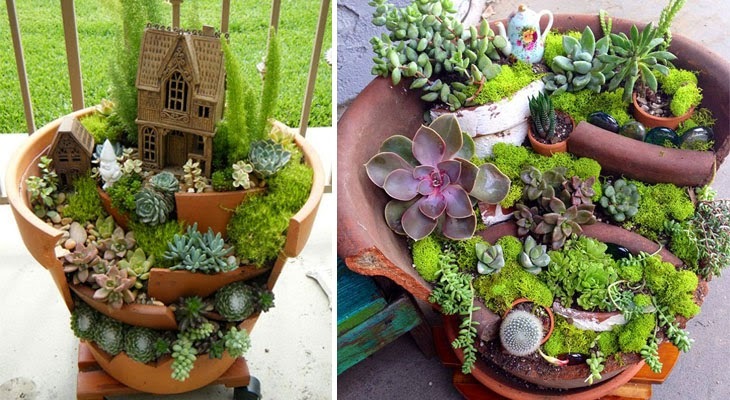 These miniature gardens can be filled with small beautiful plants, succulents, and decorative items. 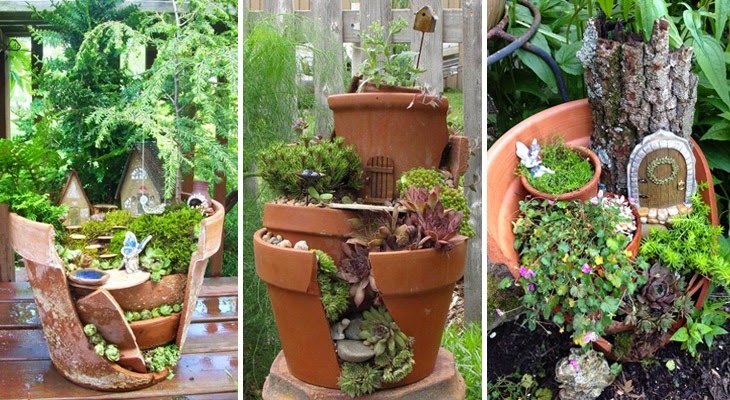 Are you ready to create your own? 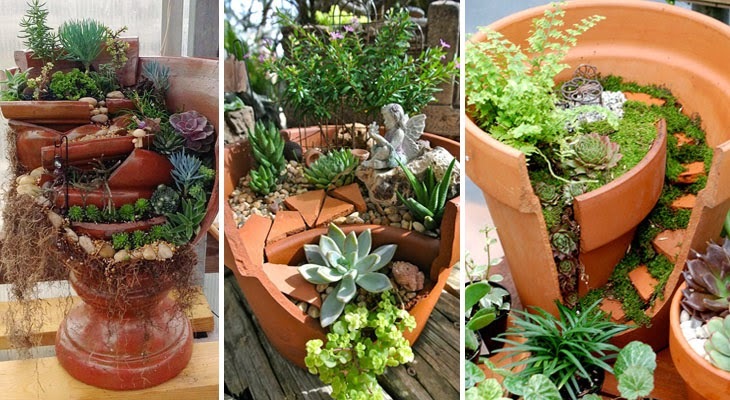 You only need some broken terracotta pots, some decorative rocks, soil and small plants. 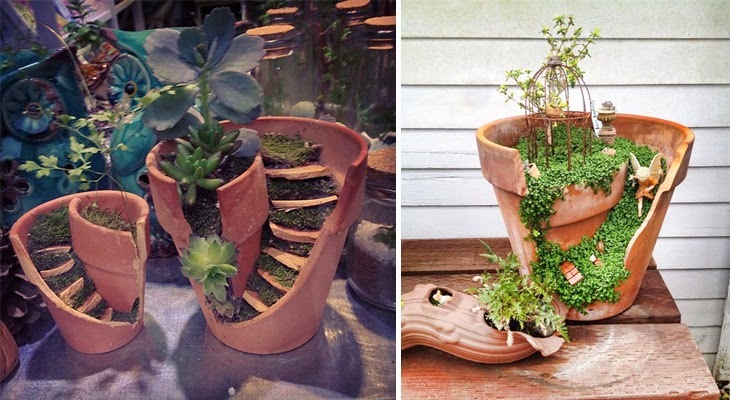 Show your creativity now! 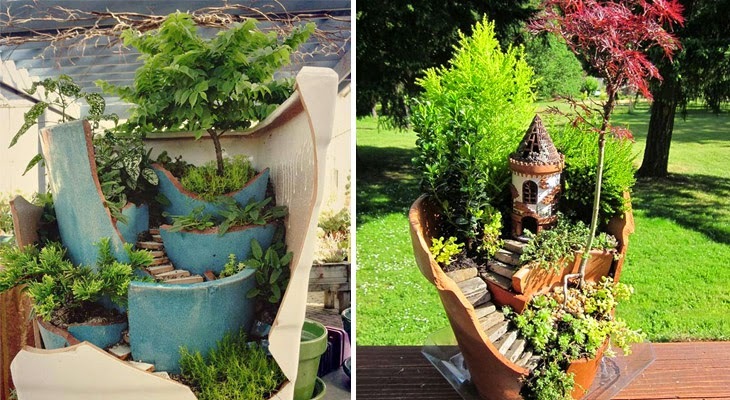 Potten Gardens, Small Gardens .